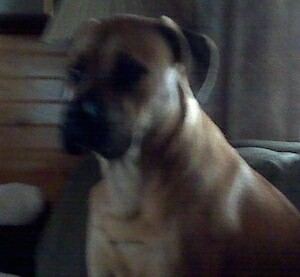 "This is our Englian Mastiff named Gunner! He is just over a year old in this picture. He is such a joy to be around. 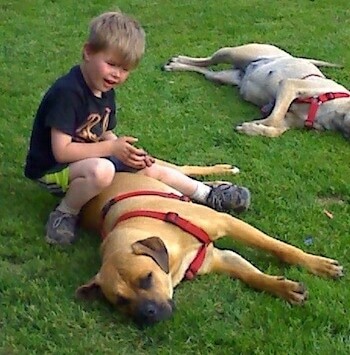 He is quite lazy like they claim Mastiffs are, but he loves being outside! He's usually outside playing with the grandkids. His favorite thing is to run and play with our horses! Gunner is a very well-behaved and easy-going pup!" The Englian Mastiff is not apurebred dog. 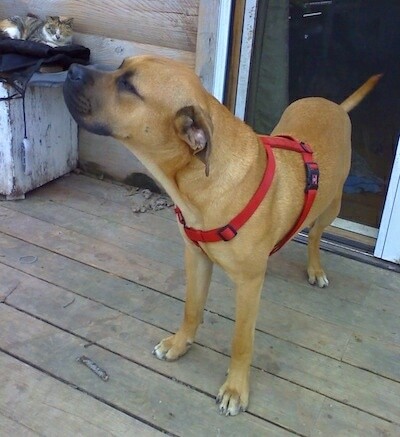 It is a cross between the Mastiff and the Neapolitan Mastiff. The best way to determine the temperament of a mixed breed is to look up all breeds in the cross and know you can get any combination of any of the characteristics found in either breed. Not all of these designer hybrid dogs being bred are 50% purebred to 50% purebred. It is very common for breeders to breed multi-generation crosses.